I have been in 6 weddings. I was a flower girl once, a bride once, and a bridesmaid 4 times. 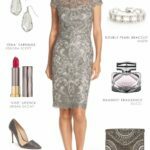 For each of those events, I can recall with such vivid detail the search for the dress, which is possibly why I was moved to create this wedding blog! For now, let’s focus on my last stint as a bridesmaid, where I had the pleasure of wearing an Aria bridesmaids dress. 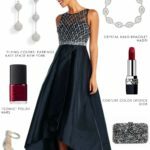 The dress was as comfortable as can be, and–since it’s red and a very wear-it-again style– it is still in my closet, at the ready for a holiday party or a Valentine’s Day date with my husband. When I found out my friend had chosen Aria, I was very excited. In fact, I remember being so in favor of it, I’m trying to recall if I may have heavily influenced the bride’s choice. I had just been married a few months before and did the choose-your-own-dress-thing for my “ladies of honor”, as I called them, but I had researched several bridesmaids dress designers, and was impressed with the color and style selection at Aria. The process was so simple: I remember getting a swatch of the lovely silk duponi fabric in the mail, picking a style, running my choice by the bride, taking my measurements, and–whoosh– the dress arrived a few weeks later, as lovely as can be. The choice of Aria turned out to be especially ideal for the other bridesmaid in the wedding. When we were picking out the dresses, she found out she was expecting her second child, so she was able to order one of the maternity options to ensure a perfect fit! The process is also error proof; all orders are grouped together to ensure the same dye-lot, and to also make sure that everyone in the wedding party has their order in on time. 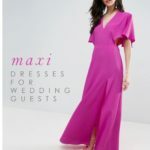 For even more convenience, Aria also launched a “Try it On” program so that bridesmaids who are not near the Los Angeles or New York locations can try on dress samples in the comfort of their own home and they offer group discounts for 6 or more. 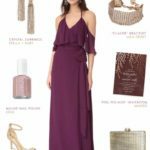 Check out Aria’s Real Wedding’s photo gallery to see how great these dresses are on real people, and how many different styles and colors are available. There are so many other reasons to consider Aria for your own wedding; not only can your maids choose a style that suits them, they can customize the bodice and skirt. So if you’d like a halter style, and a full skirt for your shape — it’s yours! I was never good at combinations and permutations in math, but I’m sure the options at Aria number in the thousands with all the colors, fabrics, and styles to choose from. The dresses overall are very tailored and classic, but have a sleek sophistication–an influence brought by skilled designer Tak Hau, who designed cocktail dresses prior to designing the line at Aria. 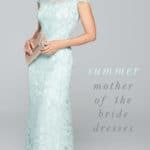 When creating theses dresses, he wanted to imbue the sometimes overlooked bridesmaid dress category with modernity. 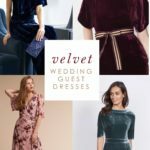 His effort was successful; these dresses are so versatile that they would as perfectly in place at a chic city wedding, as they would be at a rustic country ceremony. 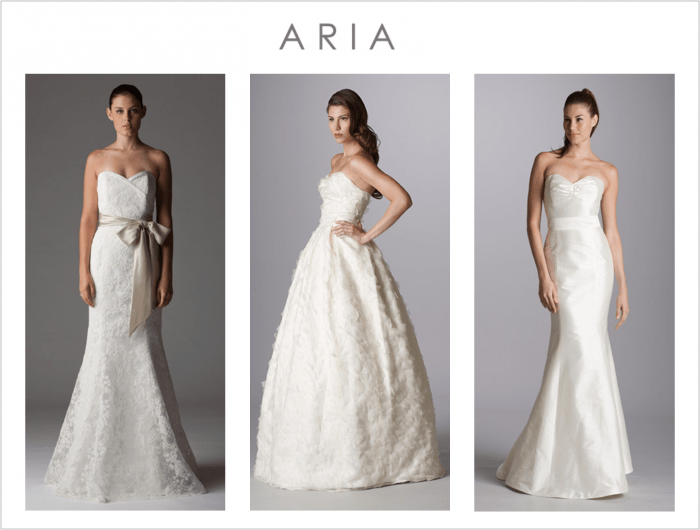 As of 2009, Aria also introduced a beautiful bridal line, with styles for every bride including the range of simple short dress styles for an informal wedding all the way up to full-skirted ball gown styles. Some even have pockets! They all have the same effortless elegance and comfortable imminently wearable look. 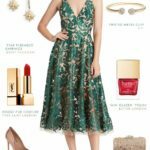 One can also feel good about choosing an Aria dress because they are made in the USA and a certified Green Bride Guide dress option. Aria hasn’t forgotten about the flower girls, and groom and groomsmen in the wedding party either. Their range of beautifully designed customized options extends to these important people as well! Lastly, Aria is always evolving to meet new styles. The silhouettes reflect modern styling, and new fabric choices like the very on-trend lace looks have also be recently introduced. 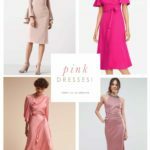 I’ll be creating bridesmaid and bridal styling inspiration sets with Aria dresses in the future, but don’t wait for me to inspire you; visit Aria’s site and being planning your perfect dress now!